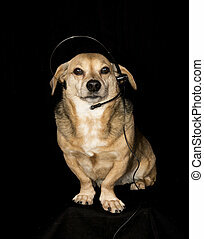 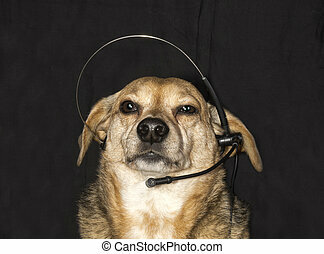 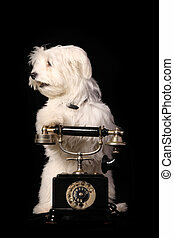 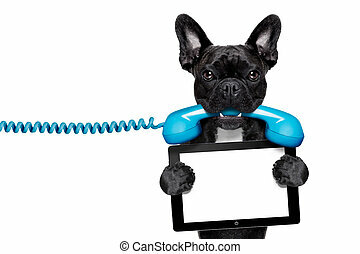 Dog phone telephone. 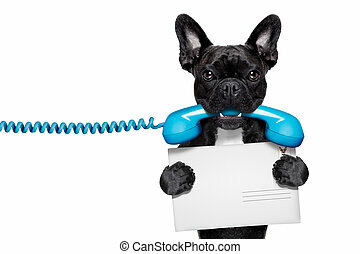 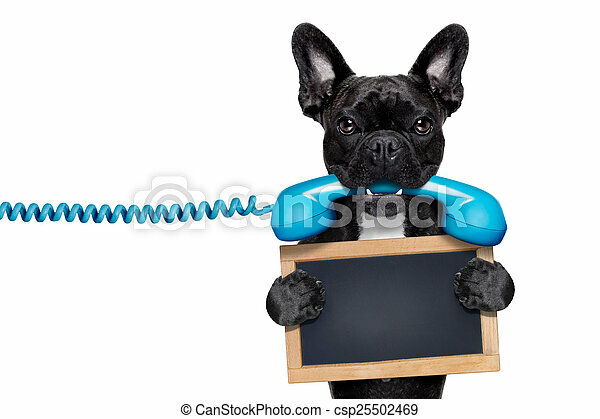 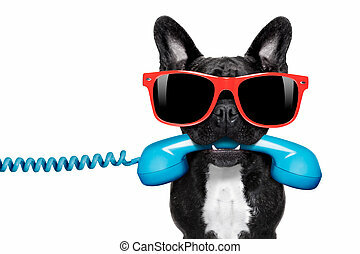 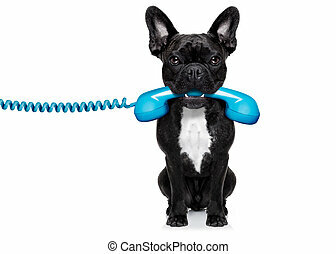 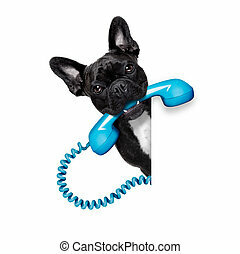 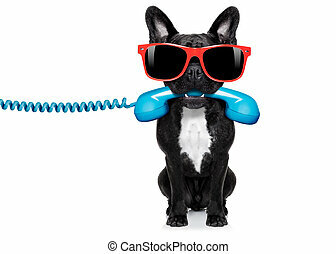 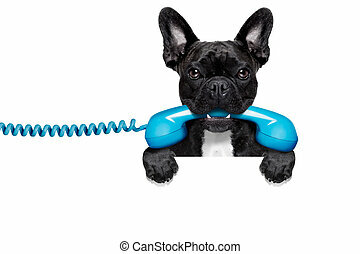 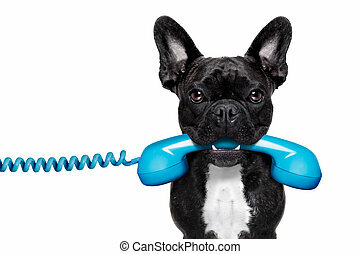 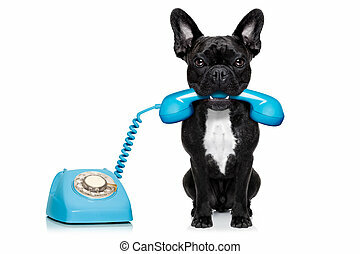 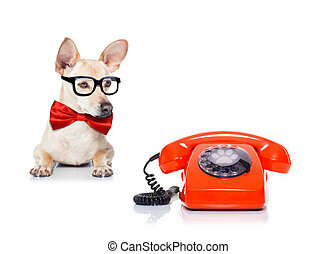 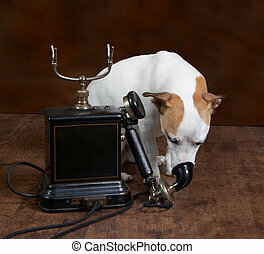 French bulldog dog holding a old retro telephone and a blank empty blackboard,isolated on white background. 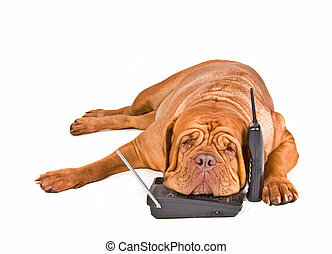 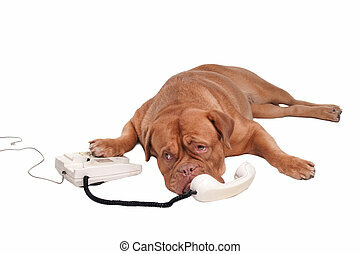 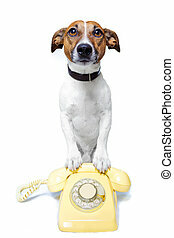 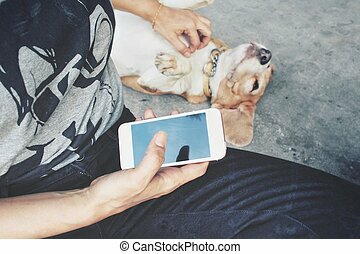 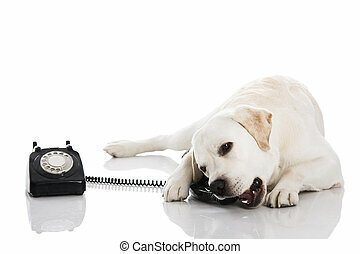 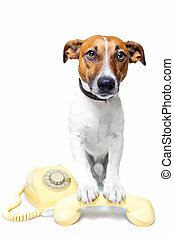 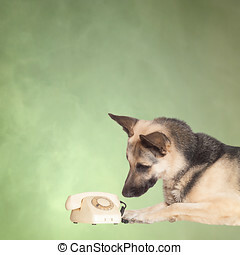 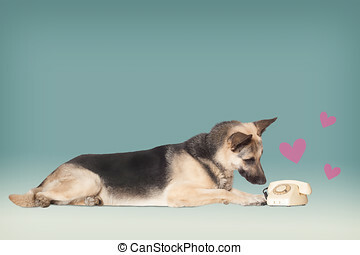 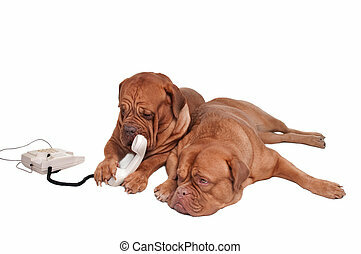 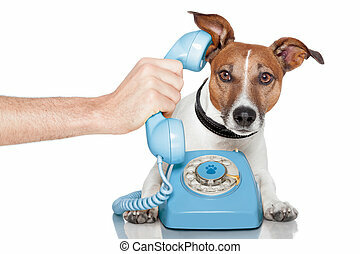 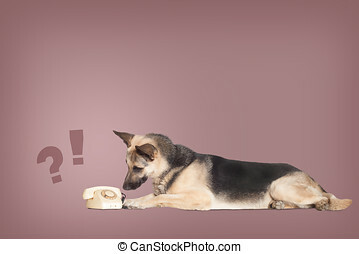 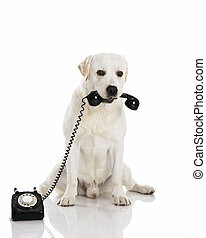 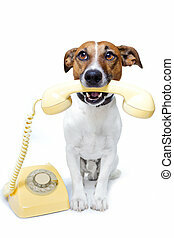 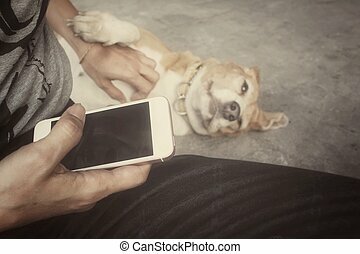 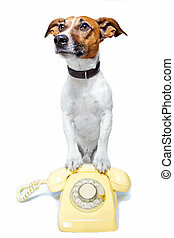 Dog is going to talk on the phone with friend waiting next to it.